Archie Comics continues its impressive confrontation of relevant social and political topics in this month's new issue of Life With Archie, in which one of Riverdale's citizens goes through treatment for breast cancer. That character is Cheryl Blossom, the redheaded spoiler in Betty and Veronica's love triangle with Archie.The Life With Archie series explores the lives of the Riverdale characters as they extend into a possible future. 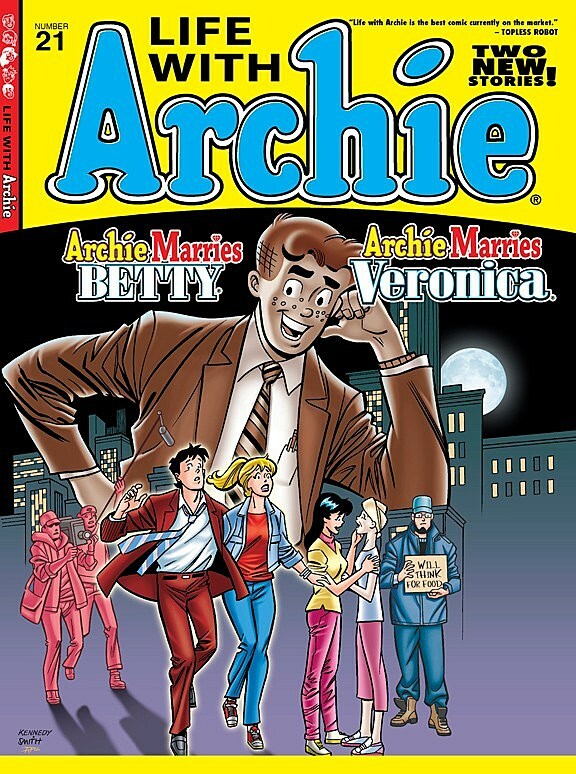 The book is notable for its two separate storylines, one in which Archie Andrews marries Veronica Lodge and one in which he marries Betty Cooper. Additionally, the series saw the publisher's first gay marriage when Kevin Keller married his husband Clay, who Kevin met while serving in the U.S. military. It's in this possible future that Cheryl finds herself battling breast cancer. 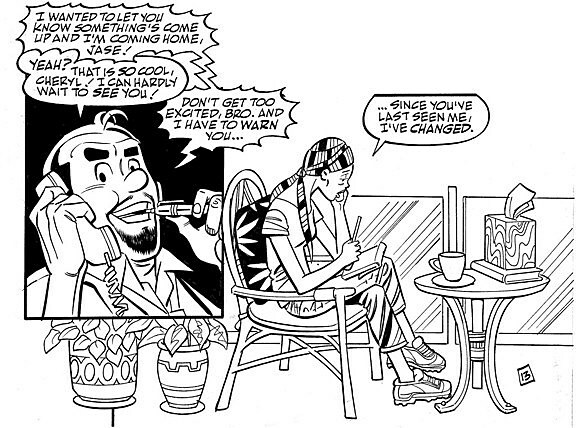 Written by Paul Kupperberg with artwork Fernando Ruiz and Pat & Tim Kennedy, the story reveals that Cheryl left Riverdale to pursue a glamourous acting career Los Angeles. Indeed, Cheryl was always depicted as especially sultry by Archie standards (so much so that she was reportedly shelved temporarily for being too provocative), so to see her looking so thin and without her trademarked long red hair is dramatically shocking as well as a realistic depiction of the effects breast cancer has on hundreds of thousands of women every year. What's more, the story deals explicitly with Cheryl's nature as a person of privilege, and the guilt she feels for being able to afford the medical insurance necessary to get treatment for her disease. As is the case with teen homosexuality, gay marriage, Don't Ask Don't Tell and the Occupy Wall Street protests, the topic of medical insurance is driving socio-political conversation in the American media, and Archie Comics has folded these issues into its stories. Life With Archie #21 goes on sale in July at finer comics shops and digitally from the Archie Comics app. Archie Marries Betty – "Cold Iron!" – Cheryl makes her return to Riverdale after a stint of chasing her dreams in Hollywood, but it's not the happiest of homecomings as she has bigger issues than trying to get her acting career off the ground... Big changes are in the making with two couples expecting a baby, plus Dilton's latest invention is on the verge of changing the way consumers buy as we know it! Don't miss this game-changing issue of the most critically acclaimed Archie title ever!